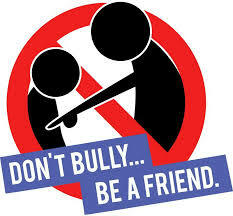 When you are at school you are surround by bullies, people who take joy in hurting others and try to bring them down. When you leave school you hope that all that is behind you and that it does not exsist in the adult world, that everyone has matured and bullying has no place. Well I am sad to say that is not the case. There can be just as much bullying and hatred in the adult world as there can in school. The reboen community also seems to have many niches and clicks within it. I can not for the life of me work out why. We are all here for the same reason, so why are we having ANY internal fighting? There seems to be a serious lack of respect for each other and in a lot of cases a very much me first attitude. I know of a few cases where the bullying has got very bad. Isn’t life hard enough without that? Surely as a community we would be stronger if you ceased all the bickering and name calling, all the outcasting and hating. I mean really what can possibly be gained from it. This really should be a stronger together community. There is no one over riding boss here, no one that should be saying what is right and what is wrong. No one should feel so pressured that they almost give up what they love and most importantly NOONE should be made to feel unvalued or irrelevant. Every person who is in this communtiy joined for their own personal reason. We all have things that make us unique and special. So what if you were not asked to do something, that doea not mean it is right to turn mean. What it means that a fellow member of this community did get that chance. That person is not your enemy or out to get you. You didnt get a shot this time? Well there is always next time. Support each other so that we can wipe out bullying from the community, because every one horrible remark you may make can impact another person more than you know. Before sending any hate just pause and think about what you’re doing. Would you like the same done to you? So lets just end this now. This hobby should be an open all inclusive one at ALL times and no one of us is better than another. Just think about it guys.